Add to bag (123)You have already bought this product. 1.Head: measure the distance around the head just above the ears. 2.Chest: measure around the fullest part of the chest. 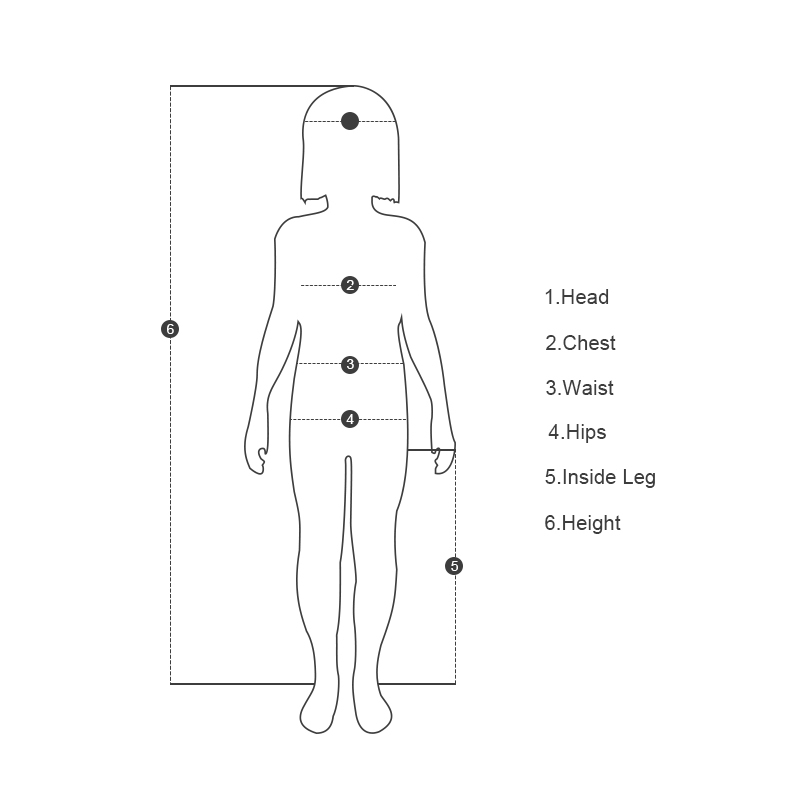 3.Waist: measure around waist(not over pant) at child\'s natural waist near bellybutton. 4.Hips: measure around the fullest part of the hip. 5.Inside Leg: measure from the crotch to the floor. 6.Height: measure from the floor to the top of the head when standing in stocking feet.